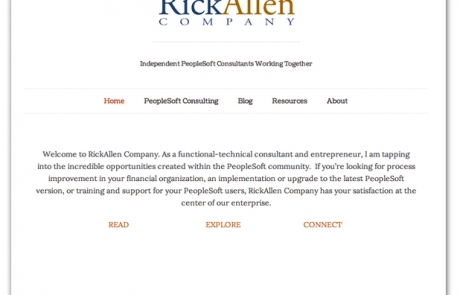 As a Certified Oracle Consultant RickAllenCo was launched as a cooperative, project clearinghouse for independent consultants with expertise in PeopleSoft and Oracle project leadership. Laguna Creative developed the site to provide presence and provide a blogging platform of best practices. Laguna Creative professionals have created a variety of banded logos and name marks across several industries. We work with our clients to help implement the mark and carry it through all of their marketing communications programs. 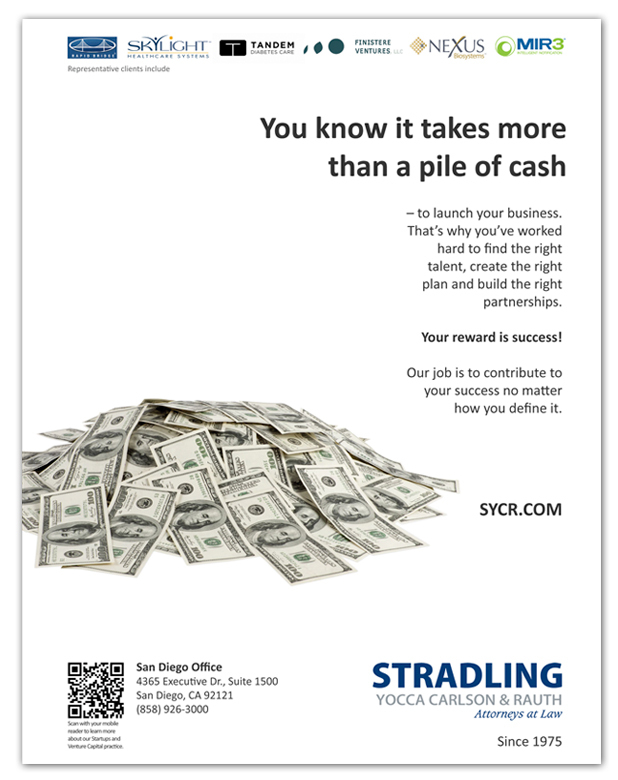 Stradling Yocca Carlson & Rauth, P.C., contacted Laguna Creative to assist in producing a print advertising campaign highlighting the many strengths and areas of expertise they could deliver to their clients. As one of the largest, full-service corporate law firms based in Southern California they have a complex message and a wide-ranging audience. 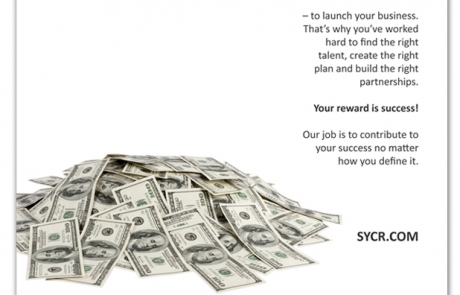 Working with the CMO we were able to craft a new look and feel, using visceral imagery and tightly focused messages directed at the success of their clients. 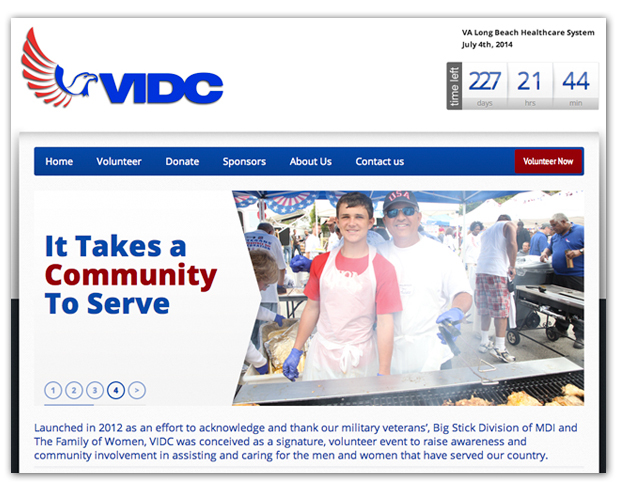 ANNUAL VIDC WEBSITE & CONTENT – Created to honor and celebrate the July 4th holiday with veterans’ confined while receiving treatment at the Long Beach VA Healthcare facilities the organizing committee contacted Laguna Creative to create an information portal for promoting the event, soliciting donations for funding operations and registering volunteers. 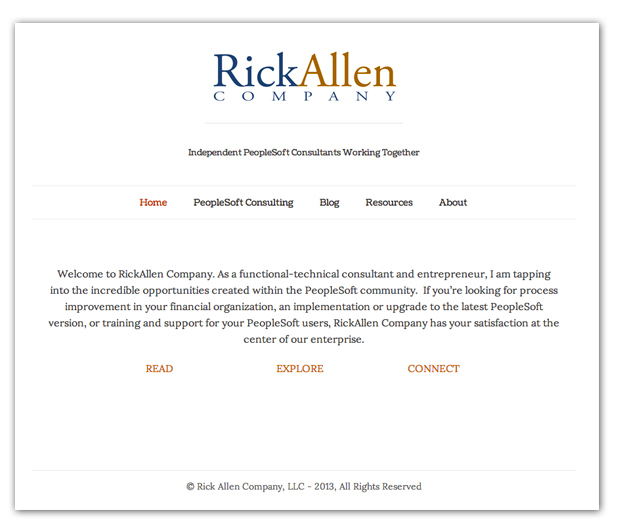 Using WordPress as the foundation we provided a solid performing platform, original graphics and logo design, branding materials and content support and a database backend with admin reporting tools for their finance and volunteer coordinators. 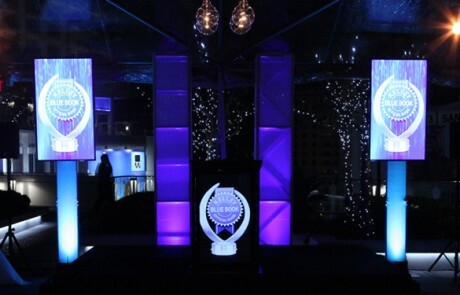 Prior to the the awards event The Showpros provided scripting, pre-show production, creative direction, and content development. 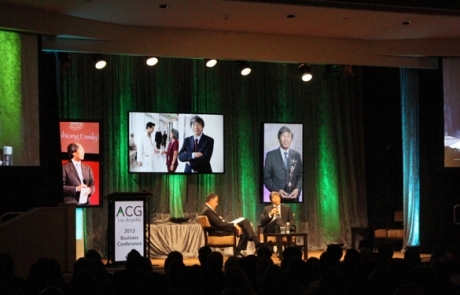 On-site The Showpros handled stage management, show control and sound plus providing grip crew. 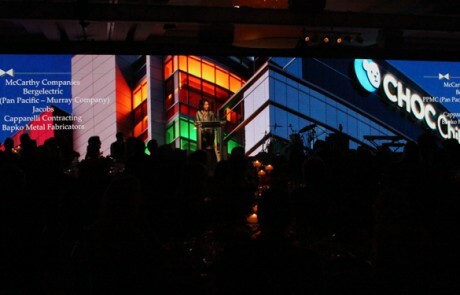 The Black Chambers annual event honors businesses, individuals and veterans’ that demonstrate incredible support for creating opportunity within the community. 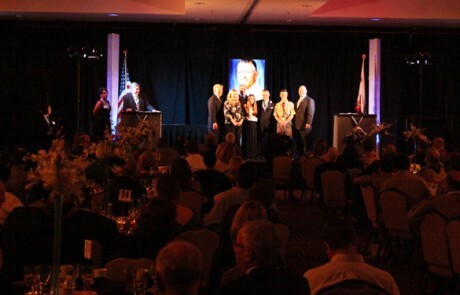 The Children’s Hospital of Orange County hosted a major fund-raising gala dinner and live auction. 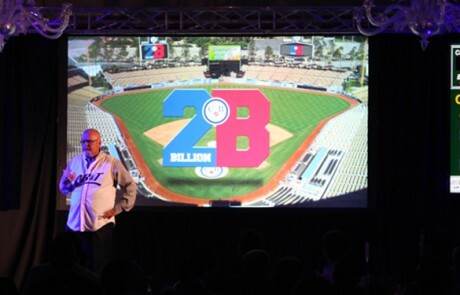 As part of the staging they would be using 10′ tall by 120′ wide LED video wall. 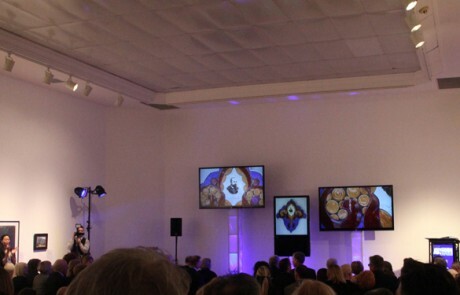 We were contacted by the show producer to create and produce the visual and digital media elements and provided creative control/programing using Dataton Watchout© to take advantage of the spectacular size of the video wall. 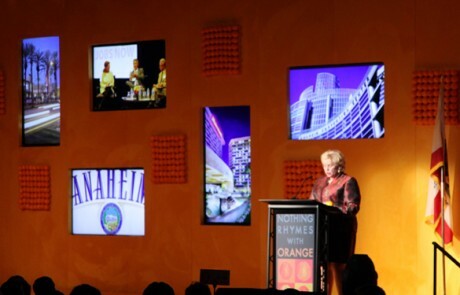 Using Watchout we treated the wall as seven individual screens and and then seamlessly constructed graphics and video elements that spanned the entire wall or appeared as a screen within a screen. 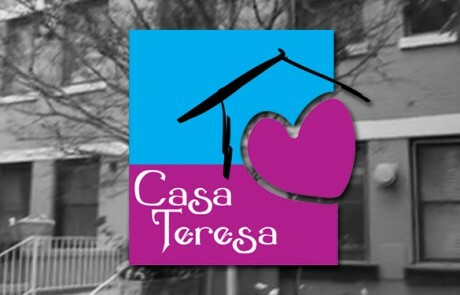 Casa Teresa has been home to over 5,000 women and children over the past 35 years providing high quality training and education programs in the areas of prenatal care and parenting, health and nutrition education tailored to the needs of each resident, all within the security and comfort of a loving and supportive residential setting. They came to The Showpros to help create an awareness video to extend their grant and fundraising reach, promote their incredible work within the community and attract women looking for help. After extensive meetings with their leadership and staff, The Showpros created the script, shot more than 30 hours of video on-location, and through post-production crafted a warm and compelling story of what Casa Teresa accomplishes for their residents. 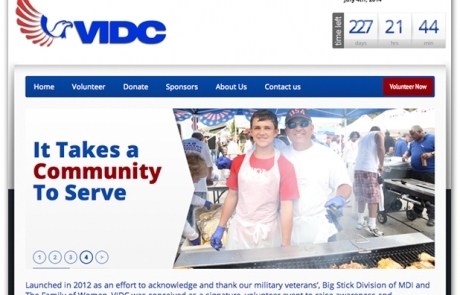 It is a great story – and the sort of job we relish – helping people connect and acknowledging the incredible efforts already being made. 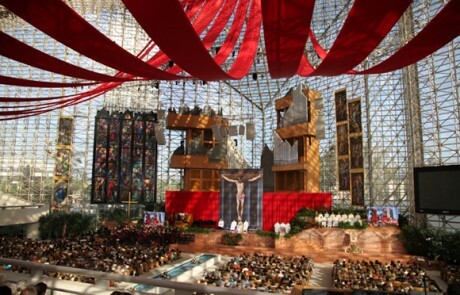 The Magnificat Foundation, based in Paris, France, in association with the Diocese of Orange (California) contacted The Showpros to assist in coordinating and stage direction for the first Magnificat Day of Faith at the Crystal Cathedral, recently re-named Christ Cathedral, in Garden Grove, CA. This historic gathering of more than 2500 Catholics from around the country was the first major event to be held at the newly acquired cathedral. 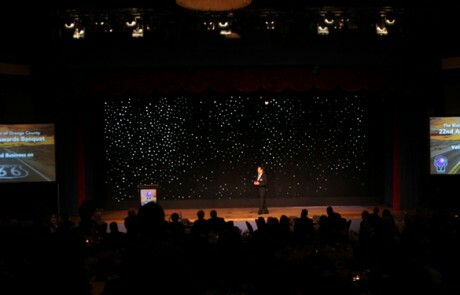 In the course of just a few weeks The Showpros coordinated with more than seven production subcontractors (lighting, staging, set riggers, sound, live video broadcasters, and talent coordinators) and helped build the scripting, que’s and show flow. During the event move-in The Showpros were on-hand to manage the multiple vendors, coordinate with the client and direct multiple rehearsal sessions. 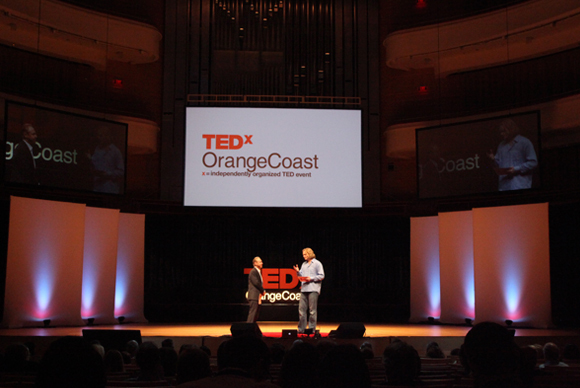 The organizers of TEDx Orange Coast had a mission – “To help turn inspiring ideas in action.” What they needed was a venue, stage and show as inspiring as the ideas presented. 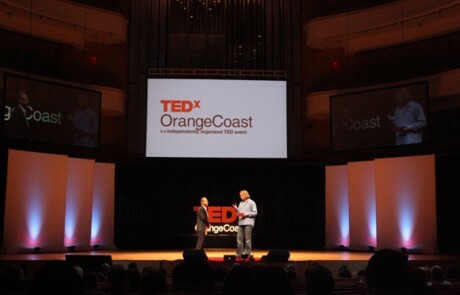 Within the world-class backdrop of the 2,000-seat Renée and Henry Segerstrom Concert Hall they brought together more than 30 presenters (spoken word, music, dance and audience participation). The Showpros was tapped to direct the event, provide stage management and coordinate the multiple professionals and vendors supporting the day. Showpros managed pre-show scripting and production, move-in, rehearsals, and stage management, lighting, sound and multi-media projection. During the course of the event our team installed several hundred yards of ethernet cable to accommodate the many technologies being used by the presenters including confidence monitors, controlling their presentation from the stage via iPad, and streaming the event live (three HD video cameras). 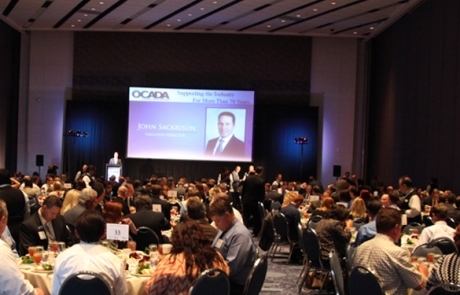 The Orange County Business Council literally took over the ball room at the Marriott with a two-day set-up that including building a hard stage and backdrop featuring five eclectically positioned high definition flat panel displays, two large side screens, exotic lighting and elaborate sound system. Their content was no less than a full blown variety show featuring keynote Thomas Staggs, Chairman of Walt Disney Parks and Resorts, followed by an appearance by Minnie Mouse and a host of dancing characters. 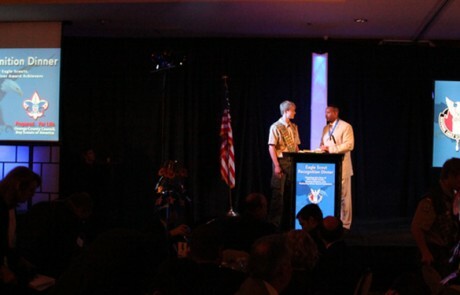 Our team was called on to direct this extravaganza coordinating the move-in and build, creating the script and content and providing stage management and direction throughout the live event. 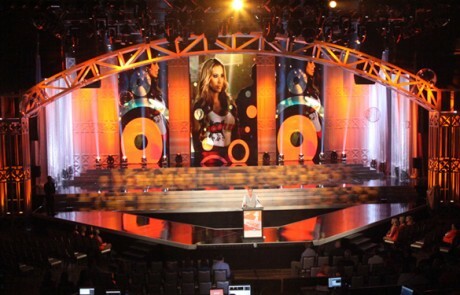 Additionally we constructed the elaborate truss system behind stage and rigged the flat-panel displays and programmed the multi-image media system during showtime to project five separate images/videos simultaneously.